Julian Caracotsios was an Opinion editor for The Daily. He is from Naperville, Ill. 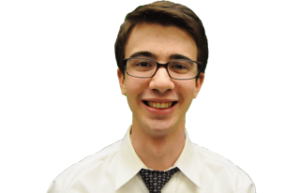 He joined the Opinion desk in March 2013 and was an assistant Opinion editor Fall Quarter 2013. On campus, he works for NU Tutors and is a teaching assistant for the Department of Mathematics.